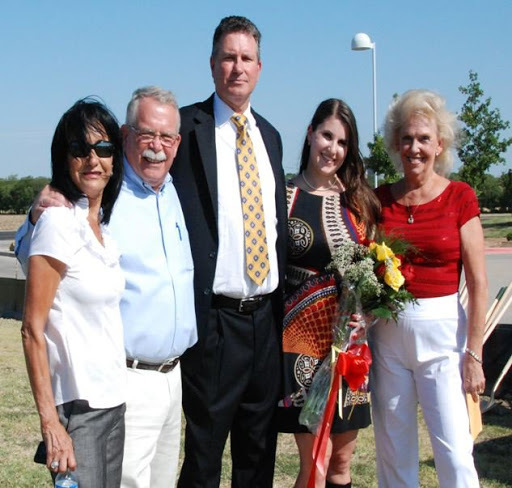 Celina Mayor Jim Lewis resigned Thursday, and Mayor Pro Tem Todd McCally takes over as Mayor. Lewis had about a year left on his three-year term as mayor. Celina plans to hold a special election (TBD) to pick a new mayor. Lewis has sold his home and moved out of the city. YOUTUBE: CollinCounty365 channel. Sign up for our updates on Facebook, Tumblr and Google Plus. CLASSIFIEDS: $50 for three months. E-MAIL: collincountyheadlines@gmail.com. Sign up for our free weekly newsletter and our monthly upcoming events email.! In the middle of the night, family members vanished, never to be heard from again. That’s what Rona Zafari remembers about growing up in Afghanistan. Zafari, who fled Afghanistan with her family after the Soviet Union took control, told the Rotary Club of Preston Trail that Afghanistan once was a thriving Westernized place to live. Her father had achieved success with Afghan Airlines, which was supported by Pan Am. He served as director of operations, and moved his family to posts in Turkey and England. His daughter, Rona, started school in London. In 1975, the family returned to Afghanistan after three years in Turkey and two in London. The timing of their move was historic. She said her family saw the rise of socialists in society. Gradually, the Afghans who ran businesses, schools, government, fell under their influence. Zafari said the “People’s Revolution” began in 1976, turning the young, poor and elite against the king. “The revolution was started and led by the Soviets,” Zafari said. “They were under the cover of the socialists in Afghanistan, and they went around and began brain-washing all these people. “What the socialists and Soviets were doing was really trying to take over,” she said. After the king was dispatched in 1973, the Afghans had four presidents in the late 1970s as the Soviets tightened control as power changed hands when one after the other was overthrown or killed. Then the Soviets invaded in 1979. To find out which parents were loyal to the government, children were asked questions at the school. Homes were routinely searched. She remembers her family burning magazines such as Time to keep the soldiers from finding the magazines and thinking their family was pro-West. One of her parents wanted to bury a gun in the backyard just in case but they did not because soldiers used metal detectors to scan the yards. One of the first moves the Soviets made was to turn the poor against the rich, she said. Her grandfather owned land in the north and became successful. The happy, proud man became a target. When she was 11 years old, soldiers banged on the front door of their apartment. She didn’t answer. The soldier hammered a piece of paper on the door. Rona’s mother wanted out of Afghanistan to keep her children safe. Immediately. “My dad didn’t want to try to escape and become a refugee. My brother had crossed the border and went into Iran. For 30 days, we didn’t know where he was, but he came back and told us about the refugee camps. “My dad asked my mother to be patient,” she said. Her father hoped his influence at the airport and with the airline would help. One of his connections suddenly left as the manager of the Afghan Airlines fled to Australia from France, her father offered to manage the airline. He was the only one left who knew how to do the job. Her father and family were allowed to move to France to manage the airline under the condition that all of their property would be frozen until they returned. “We left Afghanistan at the same time the United States was boycotting the Olympics in Moscow,” Rona said. “I remember watching the Olympics at the airport before we boarded a plane. That sent chills through the Zafaris. It turned out to be an operational question. Her father returned to his seat, and the plane left for France. Two hours later, the plane descended. The day after arriving in France, her father went to the U.S. Embassy and told the Americans he wanted political asylum, and one day he would bring his family to the embassy for safety. “He could not really trust the French police because of their socialists connections,” she said. The Zafari’s lived in an apartment across from the Eiffel Tower. “We had a good life in Paris,” Zafari said. She enrolled in a three-month language program and learned how to speak French. “After you take the language program, you are able to get into high school,” she said. In 1982, the Afghan airlines decided to stop flying to Europe. Her family was supposed to be on the last plane from Paris to Afghanistan. “My dad called my mom and told her to pack whatever you can. We are going to the American Embassy tonight,” Rona said. “The next day, we were on our way to New York, and the Afghans were shocked,” she said. The family moved on to San Francisco, where they arrived and joined two uncles there. The news of his escape went around the world. Their bank accounts in France and Afghanistan were frozen but they were in the United States. They received help from churches and some assistance and soon had a place to live, furniture and food. “My dad came to America with just a little money but used what he had to start a travel agency in Berkeley, Calif.,” she said. Rona followed her family’s tradition of working for what she wanted. She worked through college and graduated as a paralegal. She took a job with a San Francisco law firm, and one day she saw the hours billed by lawyers and decided to go to law school. Her journey to law school led her to Texas, where she has two children and found herself wanting another career that would keep her home more for her kids. She joined MCI and moved to Collin County in 2002. Needing more flexibility, she decided to go into insurance and opened her agency with Farmers insurance in 2005. Her son is now a freshman at UT-Austin and her daughter is in eighth grade. Rona Zafari gives back to the community through Night of Superstars, a red-carpet charity event that recognizes extraordinary children who have overcome adversity to excel in academics, athletics and community service. She is a candidate for the school board in Allen. 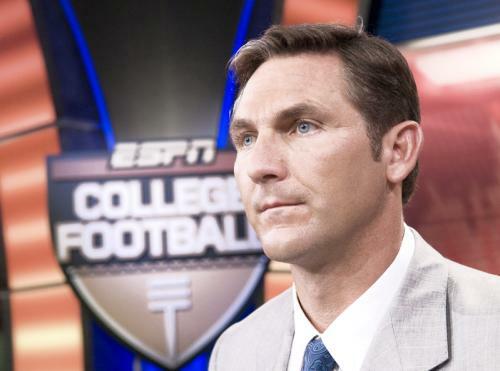 Heard it through the grapevine that former SMU Pony Express running back [B]Craig James[/B] plans to run for the Senate. The McKinney Courier-Gazette reported in 2010 that James hinted on [B]Jeff Bolton’s[/B] KLIF 570-AM morning radio show that he may want to run. James, the former Houston Stratford, SMU Mustangs, U.S.F.L. Washington Federals and New England Patriots star has been building his name as college football analyst on ESPN. James, who lives north of Dallas in conservative Celina, Texas, will run as a Republican. [B]Notable:[/B] Craig James and [B]Eric Dickerson[/B], the famed Pony Express, led SMU to a 7-3 Cotton Bowl victory over Pittsburgh in 1983. SMU plays Pitt in this season’s BBVA Compass Bowl on Jan. 7. [I]The Idaho Stateman[/I] writes that running for office likely will at least temporarily take James off of ESPN. He has been heavily criticized since his involvement in the ouster of former Texas Tech coach Mike Leach and recently for his evaluation of Boise State in [I]The Associated Press [/I]Top 25, where he has the Broncos ranked No. 23 — six spots lower than anyone else. 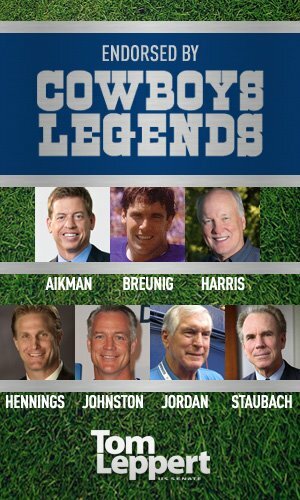 Craig James’ news comes just as former Dallas Mayor Tom Leppert introduced his legendary endorsements. Life moves at a slower pace in Celina, Texas, which is celebrating 100 years on the downtown square. Look for classic cars, fire trucks, emerging politicians, football players, the county judge, families, new residents, long-time citizens and every day life on the streets of Celina. Announce your garage sale for $10 and your wedding for $100 by emailing http://www.collincountyheadlines.com. We will email you info. Corbett Howard: Why do we need another “Damp” election? Why do we need another “Damp” election? The primary goal of that election was to secure the Brookshires grocery store and that goal was achieved, and today we enjoy a great hometown store. The sale of beer and wine for off-premise consumption is about retail sale of beer and wine whether that is sold by a Grocery chain, Mass Merchandisers like Target or Convenience Stores. Let’s fast forward to November 2009, and the adoption of the 2030 Comprehensive Plan “Celina by Choice” by the City Council. The future land use map in the plan exposed the shortcoming of 90 to 95 percent of future retail; commercial development for Celina that is outside of the wet/dry option corporate boundary voted on in 2004. Why are we holding a new wet/dry (Damp) election? There are several economic development and competitive reasons to address, but the simplest reason is the present wet/dry map shows a retail opportunity for only about 1,000 acres of area in Celina, and the Celina corporate limits have grown an approximate additional 10,000 acres since 2004. These additional acres give Celina strategic locations on the Preston Road and Dallas North Tollway corridors as well as annexed areas on the Collin County Outer loop and on the final DNT route. 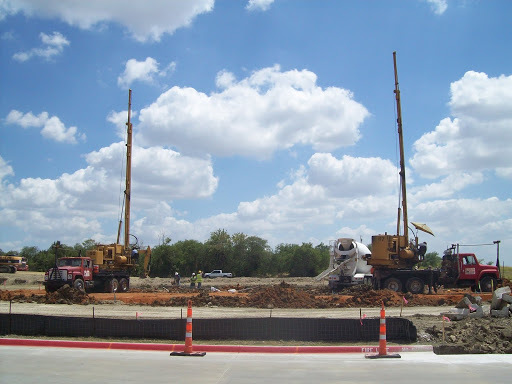 The economic development reasons for updating our option area are the tax base expansion for the City of Celina and the CISD. Tax base expansion allows increased services for both entities without adding increased property taxes. Retail development adds sales tax revenue that directly funds our parks and open spaces and creates incentive for commercial and employment centers. The competitive reason for the updated election is to have our boundary with Prosper and Denton County competitive. Both of these entities are 100 percent optioned for wet/dry, and this creates a real economic disadvantage to us. The last answer is to the question what does “Damp” election mean? It is the positive connotation to a wet/dry election. In Celina, we won’t ever tolerate the existence of liquor stores or beer barns, nor should we. We understand development of solid retail and commercial ventures and that is what this election is all about.